Bazoongi play tents to fuel imagination! 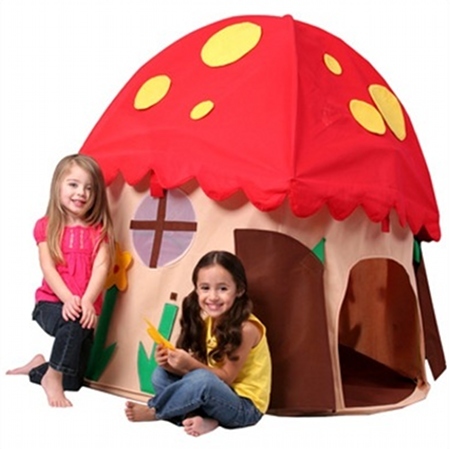 I don’t know about you, but I want to crawl into this lovely mushroom play tent and curl up with some pillows and a good book! Knowing my boys, there’ll be a few leaves and rocks to contend with once inside, but let’s just say I think I can handle that for the privilege of owning such a cute piece. These cute Bazoongi play tents will appeal to children’s rampant imaginations, fuelling role play, aiding relaxation and giving kids just what they need at times – a safe hidey hole to gather their thoughts or read a book. There are a whole host to choose from – fire house, teepee, circus tent, rocket and fairy princess castle… just to name a few! 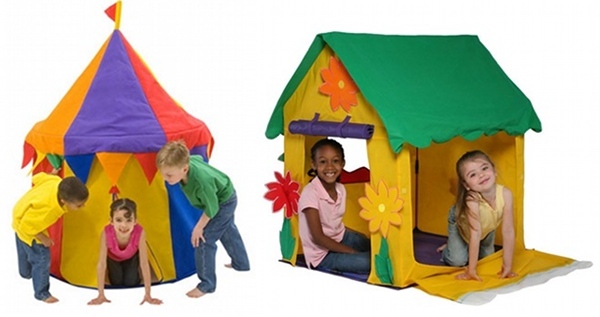 Don’t take my word for it – duck on over to Wayfair and choose the tent to thrill your kids. They range in price from $79 to $149.